Torrent is a lilitu, a race of creatures on which vampire myths are based. Cocky and defiant, he's on a hunt to alter the space-time continuum to change his fate, all the while, trying to outrun his sire who seeks to destroy him. Eileen is an Opera-soprano, returning home after seven months in a mental institution following the death of her husband. 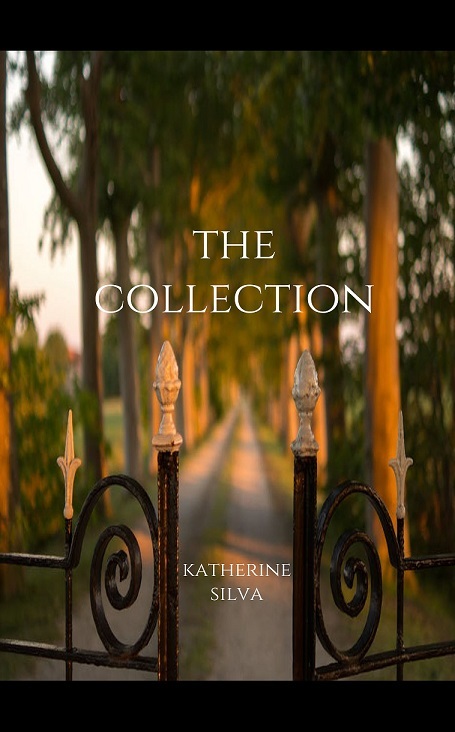 Secluded in a country estate, she soon realizes she isn t alone. Sean hears strange voices. In a desperate effort to save his life, he must discover what they are trying to tell him and why a shadowy corporation values his unusual gift. As all of their paths interweave with twists of betrayal, sacrifice, and murder, each character will have to come to terms with what they are and what it truly means to live. In this hauntingly reflective sequel to "Vox," Reid, having lost his privileges as a Councilman, discovers a terrible political plot that may be closer to home than he realizes. Torrent, in hiding from his bloodline, investigates a series of bizarre murders committed across the globe. As both of them race to prevent further damage and destruction, they will match wits against a brutal and cunning killer and face one of the most dangerous monstrum either has ever encountered. In this prequel to "Vox" and "Aequitas", readers follow the story of Whitaker Hayward. Whit, an out-of-work architect who is trying to forget his past, is contracted by one of Seraphim City's affluent magnates, Bloomstein, to investigate a room in a long forgotten house on the outskirts of the city; a room that has no doors. Intrigued by the mystery and seeing a way out of his financial woes, Whit accepts. What begins as a simple investigation soon becomes embroiled in horror as he finds himself returning to places in his past he had long thought were buried and is faced with madness when he finds that the house holds more surprises than one doorless room. In Acquolina, Sibyl is a naive young fledgling of the Kume, a water-dwelling bloodline of lilitu (vampires). She's been waiting for the day of the Festival Della Costola, an annual celebration in which a new member is inducted into the Artigianti di Alta, who care for the art in the capitol city of Vitoria. As civil tensions between the different Kume houses erupt, Sibyl will be pulled in two opposite directions: toward a mysterious outsider who might be her only escape from the rising unrest, or toward The Ghost, another outsider, who has a vested interest in saving Vitoria by using any means necessary. But do they have their own agendas as well? Acquolina is set before the events of both Vox, and the upcoming Aequitas. Following a realization that his life has become monotonous after his divorce, Spencer, a lawyer, joins a free-spirited conservationist, Calleigh, on a spur-of-the-moment 3000 mile car trip to an environmental conference in Oregon. Within moments of hitting the road, Spencer's cynical views on life immediately clash with Calleigh's upbeat personality. Add Calleigh's perky Pembroke Welsh Corgi and a cast of eccentric characters including a "soul-serving" diner owner and the insufferable Count Stiltsula, and soon they are in for a journey that just might drive them all crazy. In the wake of his estranged father's death, newspaper editor, Peter Dawson, discovers the old man, a renowned professor, owned an estate somewhere in the dense woodlands of Norfolk County. Also to his surprise is that a woman he's never met has inherited this place. Miss Inga Rapp was his father's last research partner in the concluding years of his life and seems particularly protective of the estate as well as a book containing all of their investigations into a collection of unusual objects. Trying to overcome nightmares of his time in the Great War and memories of a bittersweet childhood, Peter finds himself drawn to understanding his father's final days and the research that caused him to lose his sanity. Once inside the house, he soon uncovers the secrets his father kept and the unimaginable horrors that await through every door.